The first time I ever saw this advertisement, I thought it had to be a Photoshopped joke. My second thought was that the tagline should say, "Great for play with Mommy, too!" But the product is genuine--there are images of the packaging floating around online. 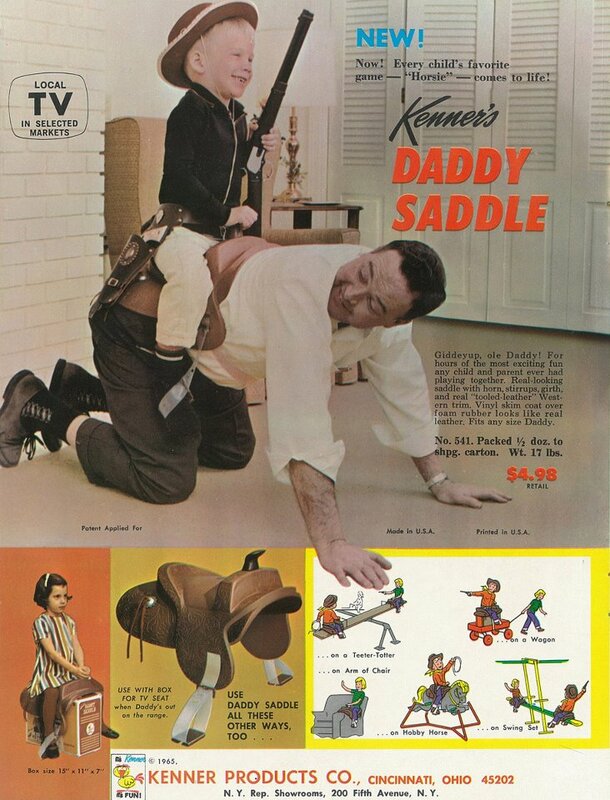 The Daddy Saddle should easily make any "worst toys ever" list. I'm all for interacting with your kids, but I can imagine after just a few minutes toting your heavy kid PLUS a plastic saddle around your back, you'd be ready to chuck this thing into a bonfire (despite the ad copy that you'll have "hours of fun"--yeah, right!) No surprise that Kenner didn't make this item for too long. And don't even think about sticking it on a box--it's not the same, and you know it: just look at the little girl in the corner with the sad sack face! Happy Father's Day, and may your kid(s) never get you a Daddy Saddle! Hahahahaha!!!! Omigod this is awesome--and THIS is the reason I love visiting GoRetro! (Kinda fits in nice too, being Father's Day & all) Thanks for sharing, Pam--this is gold! Thanks, Doug! I wish I could remember the source...it was shared on Facebook a while back. This is CLASSIC! 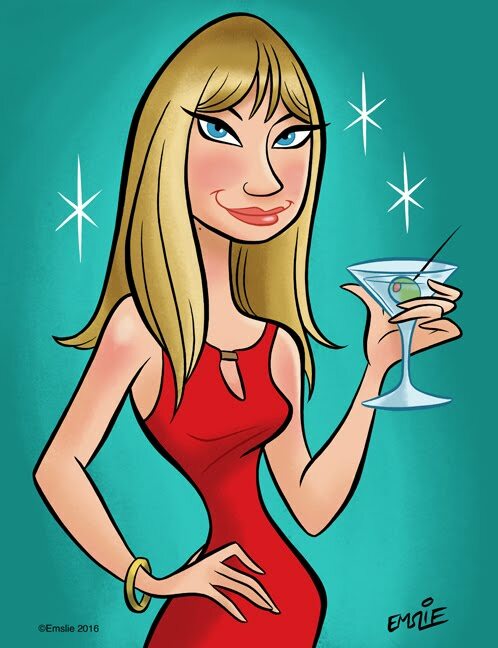 I must find one for next father's day, my husband will be thrilled!